Linkt® Craft Kits Win Multiple Awards! 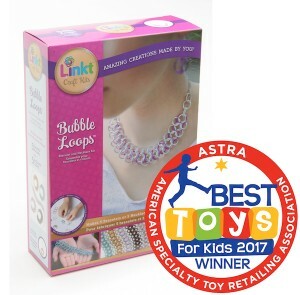 We are honored to have received a Best Toys For Kids 2017 award for our Bubble Loops kit! This award comes from ASTRA: American Specialty Toy Retailing Association. Products are nominated by toy store owners around the country, so this award means a great deal to us. These shop owners are experts when it comes to selecting quality toys and gifts, especially for the hard-to-please tween market. We greatly appreciate this support from specialty retailers and love that they believe in our product! Thank you store owners and thank you ASTRA! We’re thrilled. Two Linkt® Craft Kits now in stores have also been awarded the prestigious Oppenheim Toy Portfolio Gold Seal. Both our Hoops & Loops Kit and our Spinning Halos Kit received this honor. Read the full review of Hoops & Loops on the Oppenheim Toy Portfolio website. The review of the Spinning Halos kit mentions that the rings are easy to open and the instructions clear. They also found our YouTube videos helpful, so be sure to check out the Linkt® Craft Kits channel as you start to work on your kits! We worked so hard to create a tween craft kit that makes stunning, real jewelry while providing a fun, engaging challenge–and we’re thrilled that our work is being recognized. Thank you, Oppenheim Toy Portfolio! Linkt™ Craft Kits was created by Neat-Oh! International, a successful specialty toy manufacturing company, and Rebeca Mojica, founder of Blue Buddha Boutique. Driven by a desire to make this artform accessible to all, Rebeca and Neat-Oh! developed new tools and materials to revolutionize this craft. The product was also named one of the top 5 Innovations Center finalists at Creativation 2017. Each kit, priced at $20, has everything you need to complete multiple projects in a single box. You can make up to 20 pairs of earrings, or 5 necklaces, or 5 bracelets—mixing and matching metal and silicone rings in a variety of colors so every single piece is different. Support small businesses! 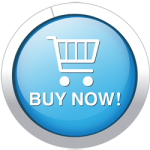 Purchase Linkt® Craft Kits at specialty retailers across the US/Canada or in the Blue Buddha Boutique Etsy store. Linkt™ Craft kits are available, follow Linkt® Craft Kits on Facebook! LEGAL NOTE: Some of the links in this article are affiliate links, which means I earn a few pennies for any transactions you make on Amazon after following those links. Any little bit helps keep the lights on, so I appreciate your clicks and purchases very much. Thanks for supporting independent artisans and small businesses!